Students in 4th and 5th grade who are tech-savvy can apply to become a S.T.A.R. Student. Our S.T.A.R. students are responsible for teaching younger students how to use technology, helping teachers troubleshoot technology problems that arise, and completing various tech support tasks. In the photo to the right, a 4th grade S.T.A.R. 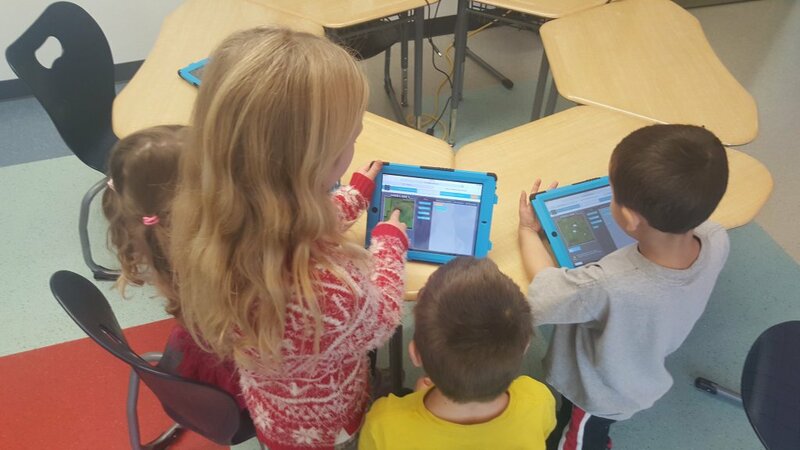 student teaches kindergartners how to code with blocks during the Hour of Code event. Click here to view a video of a S.T.A.R. student in action!